Taiwan ranked amongst the top countries in the latest report of the World Bank’s Knowledge Economy Index, further increasing its strengths and capacities. 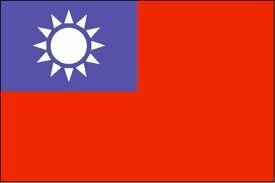 According to the World Bank‘s 2012 Knowledge Economy Index (KEI), Taiwan is the top Asian country for knowledge economy and 13th out of the 146 countries included. This marks a great improvement—in 2000, Taiwan was 16th. Taiwan was found to be in the top ten countries in innovation. In education, the country is 8th, measuring the training and capability of citizens to create, share, and use the education they have received. “This indicates that the number of Taiwan’s educated talents is on the rise, which is beneficial to the country’s economic transformation,” said the Council for Economic Planning and Development (CEPD). Computer technology is also on the rise in Taiwan, with the country being within the top ten for ICT as well. With technological knowledge becoming more available, these numbers should see an increase in the future.